When the word “Thanksgiving” is translated into French, it becomes “Jour de l’Action de grâce”, the Day of the Action of Grace. A celebration of the past year and the harvest. Of “Grace” or blessings. We celebrate Thanksgiving Monday the 8th this year. Hors d’oeuvres will be served at 5pm, followed by a dinner of free range turkeys with all the usual accoutrements. If you would like family or friends to join you, please notify the front desk no later than October 4th. The charge for a guest dinner is $21.95. National Seniors Day is Monday October 1st. Their facebook page has some interesting information on it, check it out here https://www.facebook.com/SeniorsinCanadaAineauCanada Come on down for cake and entertainment at 2pm. 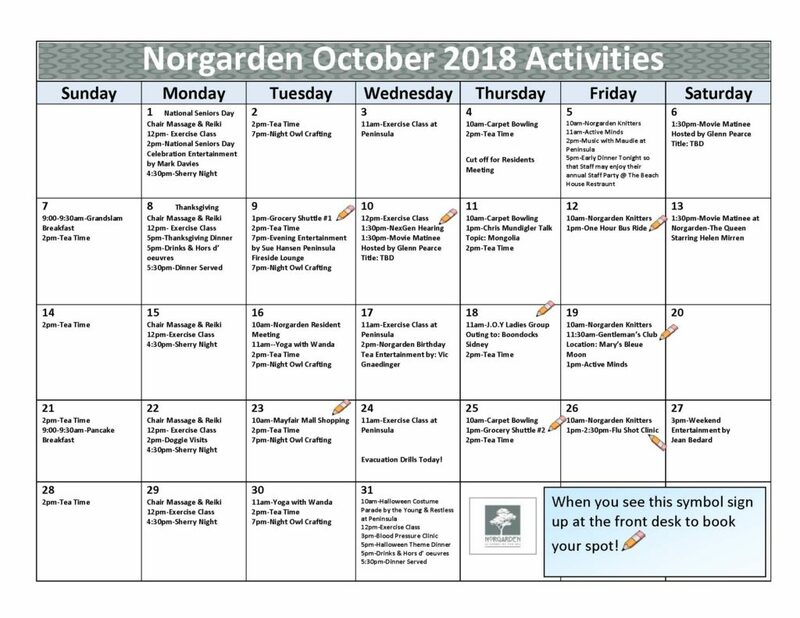 The monthly birthday celebration will be October 16th for The Peninsula and October 17th for Norgarden. For those celebrating birthdays this month, please let Kathleen know how many guests you will have for the head table. October is also flu shot and evacuation drill month. The flu shot will take place on Friday October 26th, start time is 10am for The Peninsula and 2:30 for Norgarden. 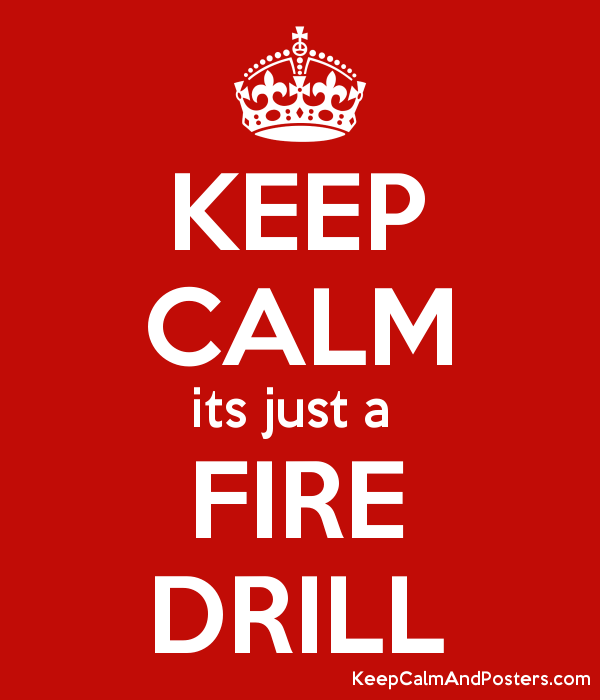 The evacuation drill will take place on Wednesday October 24th. Remember to bring your grab and go bag! The ladies will be lunching at Boondocks on Thursday October 18th at 11am. The Gentlemen will be heading to Mary’s Bleue Moon Café on Friday October 19th. Remember to sign up early at the front desk as these are very popular outings! Kathleen has planned many more activities. 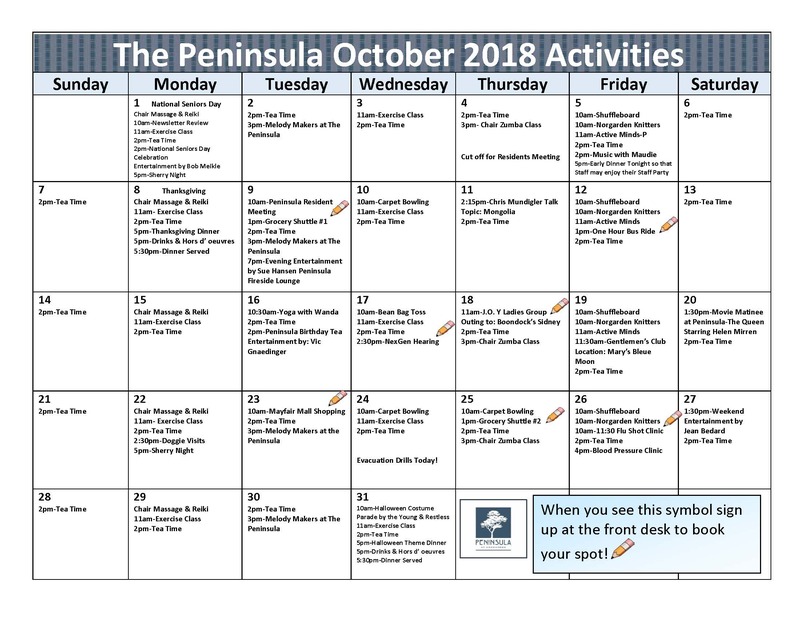 Check out the calenders below. To enlarge the calendars, just click on them.